"Earth Day concepts conceived at an "Island of thought" with the best brains / thinkers of the day - 1B participants in 2011 - MAJOR success story from small, humble, original, innovative beginnings ... NEXT?" "Gaylord Nelson was an integral part for many years - THE natural place to meet where Earth Day was conceived - BRILLIANT!" Secondary Contact: Chuck Smith American University, Mr. Hold your Green Meeting at Airlie. The Center is "E3" certified through the Department of Environmental Quality's Virginia Environmental Excellence Program. 4/24/07: Airlie is featured in the Fauquier Times-Democrat for its Environmental Program. 6/06/07: The Airlie Center offers green weddings! Airlie Center is situated in the heart of the Virginia Piedmont, an area noted for its rich history and diverse habitat. We consider ourselves a steward of the hundreds of acres that comprise the Center's campus and the surrounding wetlands, meadows and woodlands. Airlie pays careful attention to the delicate balance between the natural environment and the Center's operations. 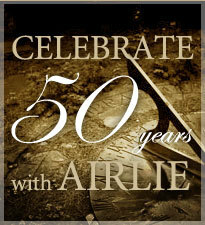 Airlie Foundation was founded in 1959 by Dr. Murdock Head. The Foundation and its Conference Center operate in tandem to develop and sponsor environmental programs, and host over 600 non-profit, government and private sector groups a year. In 1956 Dr. Head and his wife purchased a large farm in Virginia, with a plan to create a place where individuals and organizations could meet without distraction to discuss and exchange ideas in a natural setting. By 1960 this vision had become a reality and the rural farm estate called Airlie had become Airlie Foundation, an international center for communication. As one of the original conference centers in the country, Airlie was considered a model of innovation when it hosted its first group in 1960. 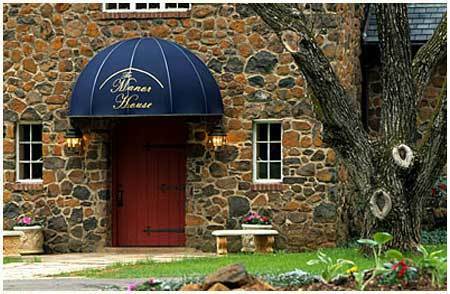 Dr. Head had converted old farm buildings into conference facilities and created a relaxed but up-to-date atmosphere for guests, later referred to as an "island of thought" by Life Magazine. Airlie's character hasn't changed much since the early sixties. The campus remains a secluded retreat set amid 2500 rural acres, although the facilities have been updated to provide guests with the latest conference technology. "Gold LEED Cert. in 2012"
"Entities making a difference & Step 1: Increasing energy awareness"
CONGRATULATIONS - You have completed Step 1! Finite energy conservation / technical innovation has been active for over 40 years in the US, UK and Spain. You understand how your local electrical power is generated. 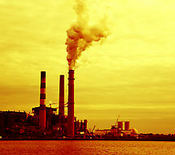 You know more about your local energy culture and environment. You see opportunities for saving money through energy conservation. You know that reducing energy usage in ANY building makes a collective difference and that 99.96% of the US population uses grid-based electrical power generated from finite (coal, oil, natural gas, propane) fuels for heating / cooling homes and businesses. "Presented 9/17/13 at Vint Hill Craft Winery"
Fauquier is HOME to many individuals, groups and entities that complete local Eco - Friendly projects / initiatives / programs with significant RESULTS. If you know of other local efforts either Past, Present or Future - PLEASE let us know some high level details by either email to Community@ER-LI.com or text details to 540 219 0445. Communications are ALWAYS private and confidential. Our ONLY requirement is that we are allowed to verify programs and capture RESULTS! "These concepts are ingenious - mouseover lower images / click links to visit their sites! Join the discussion - how do we speed up business innovation / deployment?" Ask new businesses to Register and build their own Entities by product line. "Learn how FCPS (Fauquier Public Schools) can save $3M per year"
Agenda designed for very busy schedules! Space is limited so register early. Thank you! ** IWT: I Was There… When the Energized Research / Learning Institute was born. Paul McCulla - thank you both!